When developing a web presence for your business, one of the most important factors can be the quality of your website. An aesthetically pleasing, easy to navigate site increases the time users spend on it, leading to the higher likelihood they will make a purchase. However, in order to see your beautifully designed website, potential customers must first find you. Choosing an appropriate domain name that reflects your business and one that intuitively comes to the mind of people searching for what you have to offer. That's why when you decide to buy a domain name, you may want to consider investing in a premium domain. Premium domain names are ones that were previously purchased, but whose registration has lapsed and is now available. These are sometimes called "simple domain names" because of their ease of use and simplicity. These names can cost a pretty penny, sometimes going for thousands of dollars. You may wonder why anyone would bother making such an investment when domain names can be bought for much lower rates. Actually, there are some savvy advantages of a premium domain name that can have a great impact on the success of your business. One of the most advantageous reasons for choosing a simple domain name is its effectiveness in creating a brand for your business. For example, a name like candles.com leaves no question regarding the kind of product you sell. You'll likely be able to spend less money on marketing costs because potentially customers will be able to find you organically. One of the factors influence your website's rankings in the search engines is how relevant your domain is to the product you sell or the main theme of your web page. 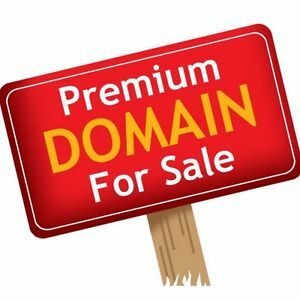 A premium domain name that quite plainly and simply states the site's main product or service is going to score points in the search engine rankings. A concept known as "direct navigation" makes a premium domain name truly advantageous. Direct navigation is when someone types a word directly into the browser bar in order to easily find a website directly related to that item. Using our candles.com example, a person wanting to shop for candles would type in that simple address and be sent straight to your website. Now you can see why it may make sense to invest in the cost of a premium domain name. Doing so will help customers find you easily through association, landing you higher in the search engine ranking and solidifying your brand. So go ahead and do a little research to determine if your preferred name is available and what it would cost. If you are able to make that kind of monetary investment right now, it will probably pay off in the long run.